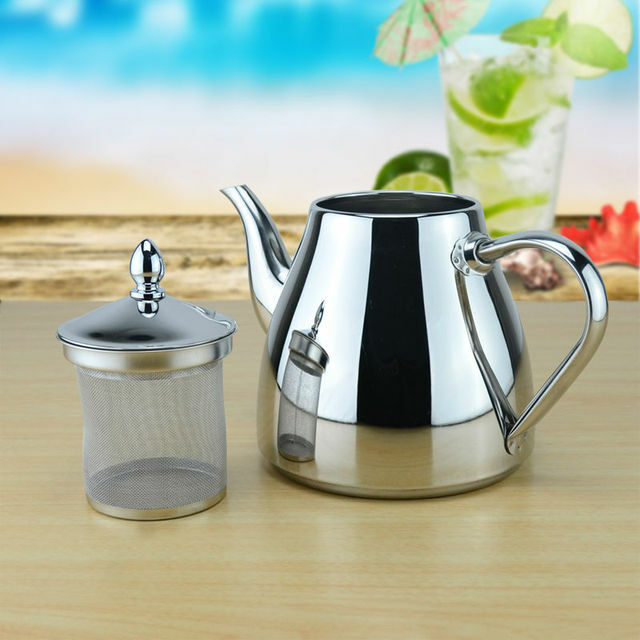 Multi-purpose of one kettle, make your life more healthier. 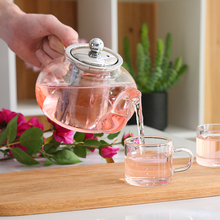 Make a kettle of tea, distribute wine, cool boiled water etc. 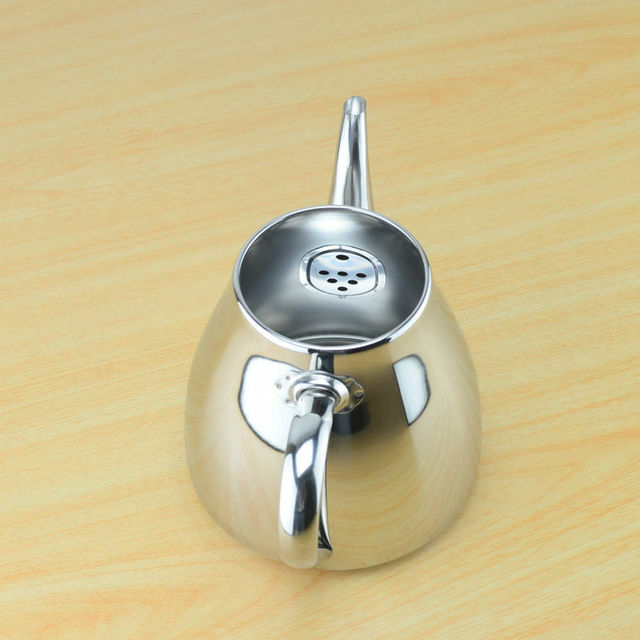 Big kettle spout is easy to be cleaned! 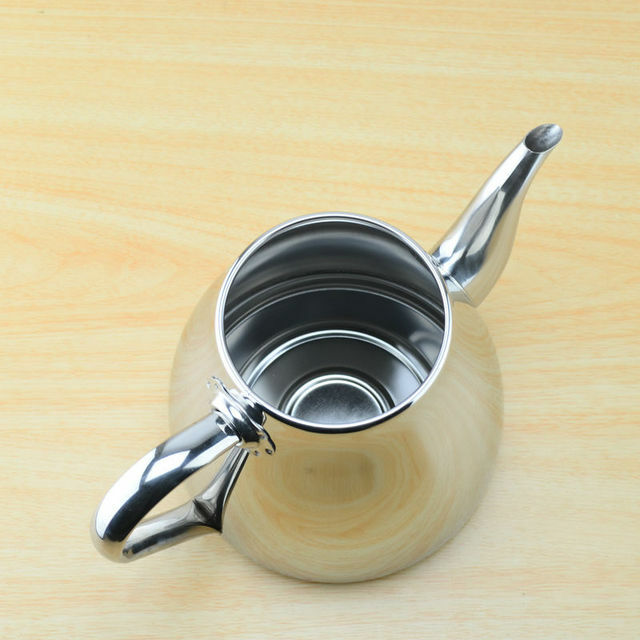 The inside of kettle is treated with electrolysis, which is not easy to produce incrustation. 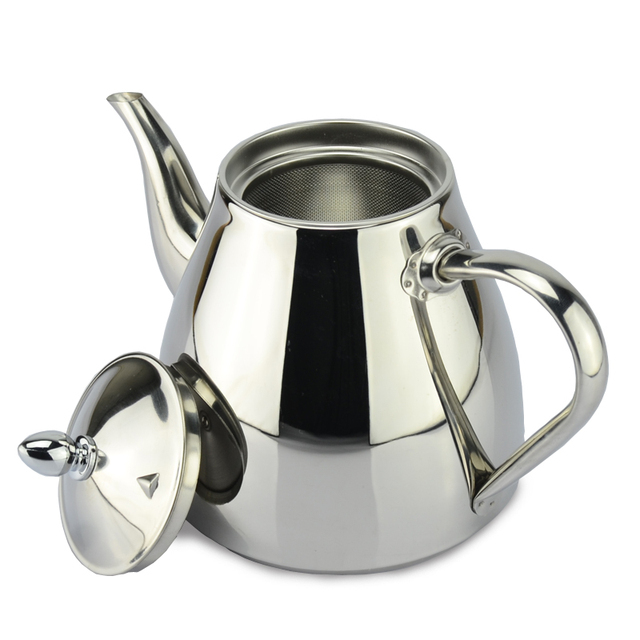 The outside of kettle is done with mirror polishing, which is shinning and easy to be cleaned. Adopting anti scald human body engineering design, the handle is suitable, high-end and generous. 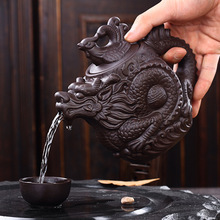 Special design make you feel free to carry, hold or pour with ultimate experience. 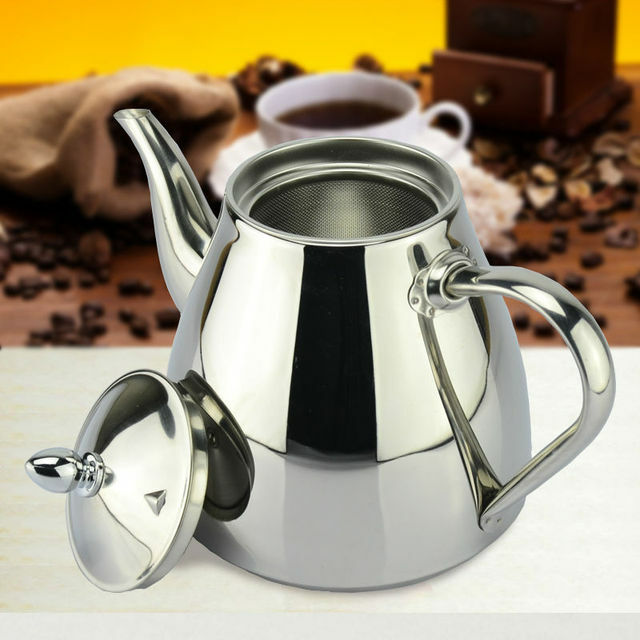 Internal welding technology is utilized for kettle spout and body to achieve fully integration, firm, flat without penetration. Novel, fashion and generous design of plastic top bead, heat insulated and anti-scald. For first use, please clean the product by neutral detergent and warm water, and wipe it by cloth. Do not put the product into microwave oven or high temperature disinfection cabinet, it is available to disinfect by ozone or boiled water. Do not wipe the product by steel wire ball, in order to avoid the surface and affect the appearance. Soft gauze is suitable to be used. 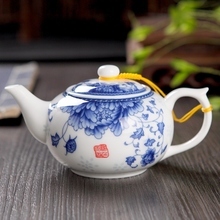 we accept Alipay ,We are accept through secure payment processor Escrow. 3.Payment must be made secure payment processor Escrow. 1.Make sure to leave telephone number when filling your buyer information. 2.You can check the goods where it is in transit through tracking NO . 3.If you do not receive your winning item (s) within 30 business days, please leave a message or E-mail contact us, we will do our best to solve any problems with you. 1.In our website all products are the material object photographies, because the picture machine, the flashing light, the photography technology as well as the personal computing demonstration and so on the various reason, the partial commodities demonstrated the color can with material object some chromatic aberrations, the color all attain the material object as. 2.Import duties,taxes and charges are not included in the item price or shipping charges. These charges are the buyer’s responsibility. 1.If you are not satisfied with your purchase, for any reason, let us know.We will promptly replace the item or give you a refund. It’s that simple! 4.If your products have any defect or delay, please do not open case or not leave Negative & Natural feedback, it can not solve any problems .But just tell us, we will do our best to solve it. 5.If you are satisfied with your purchase, we sincerely hope you can leave us a positive Feedback and four 5-star Detailed Seller Ratings (DSR), which are of vital importance to the growth of our small business. 6.Besides, PLEASE DO NOT leaves us 1, 2, 3 or 4-star Detailed Seller Ratings because they are equal to negative feedback. Only 5-Detailed Seller Ratings are welcome. we provide stainless steel product quality testing business,if you need a qualitycontroller to control your order which is placed at caitang,you can contact us. We will controll the quality of your order according to your request.We also provide purchasing stainless steel product services at Caitang. 2.If your cargo weighs up to 20Kg or above, or you need larger quantity, please contact us or email to us, we will provide you new packing specifications, then try our best to save some transport costs for you, and so that the product price can be of some benefit to you! 3.We can discuss wholesale price and ocean shipping if you need plentys of items,We also can provide customers with DDU, DDP trade in services,welcome to contact with us!!! a.Import duties,taxes and charges are not included in the item price or shipping charges. These charges are the buyer’s responsibility. b.Please check with your countrys customs office to determine what these additional costs will be prior to bidding/buying. 5.Payment:We accept Alipay, Bank Transfer, and Western Union. All major credit cards are accepted through secure payment processor ESCROW,If need further details, please feel free to contact us, Thanks! some items respond to kettle magnet, of course is bad. 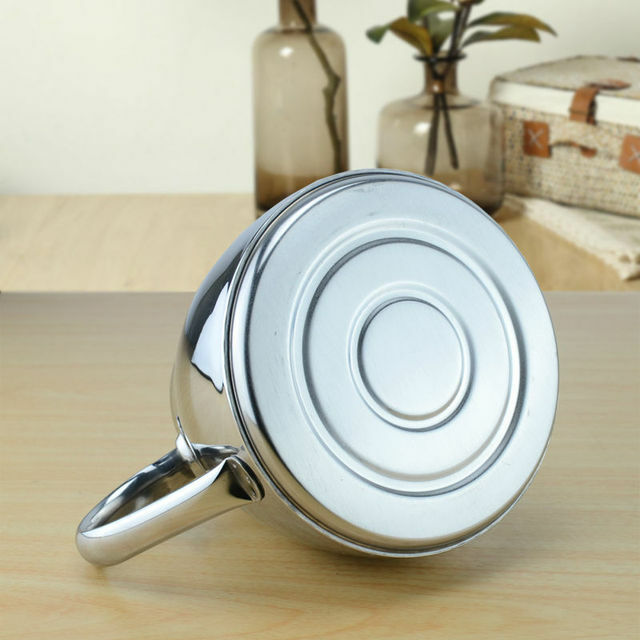 Thin, but usable stainless steel pot. Good quality. slightly less than the l. delivery is very fast. Maker chic what I wanted. delivery month before the Mari El. packaged well, pupyrka around the box and around the kettle. brought home the company sdek. Good quality! steel strong! the handle on the cover of plastic!!! 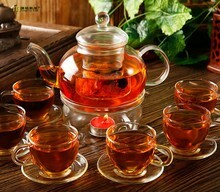 Tea came quickly 21den, product quality, satisfied with. Order received. everything is fine. thank you.